Once it has cooled, the rubber can be described as extruded. Extruded Rubber – GSH Industries, Inc. Most varieties of rubber can be extruded; a stock of natural rubber, once it has been collected, will often be divided into pellets and then prepared for extrusion. Synthetic rubbers like silicone can also be extruded, though the process of silicone extrusion differs somewhat from natural rubber extrusion because of the differences in the two varieties’ chemical properties. The number of types and functions of extruded rubber products are limited only by the ability of engineers and chemists to design them. 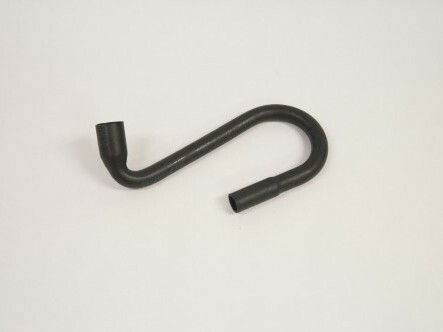 Extruded rubber products are found in almost every industry; extruded rubber seals are used in hose connections in aerospace applications, weatherstripping products are often made of extruded rubber and the automotive industry makes use of rubber extrusions in some varieties of bumpers. Silicone extrusions, because of their high temperature-resistance and flexibility have applications in demanding roles like electrical insulation and in the bio-tech industry. The beginning of the extrusion process is mostly standardized; stock is collected and loaded into the extrusion machine where it passes into a conveyor channel. The stock is then heated to a near-liquid state. It is then pressurized by either a screw or a ram in a cylinder and forced into a die. Depending on the type of rubber being processed, there is some variation of method and extrusion machinery design at this point. Silicone for example, because of its heat-resistance, must be processed at higher temperatures. The dieing process itself is the least standardized step in the extrusion process. A die can take nearly any shape and can produce extrusions of nearly any size. The market for custom extruded profiles is large, and some factories have multiple extrusion lines dedicated solely to the production of custom extrusions. At the end of the extrusion process, the product can be shipped as is, or it can undergo a number of additional treatments. In many cases, to increase the strength of a rubber extrusion, the product will be vulcanized. Vulcanization is the process of curing an extruded rubber with sulfur or other curative compounds. Many extrusions are cut to the appropriate size, cleared of imperfections if they are present and then shipped to the customer. 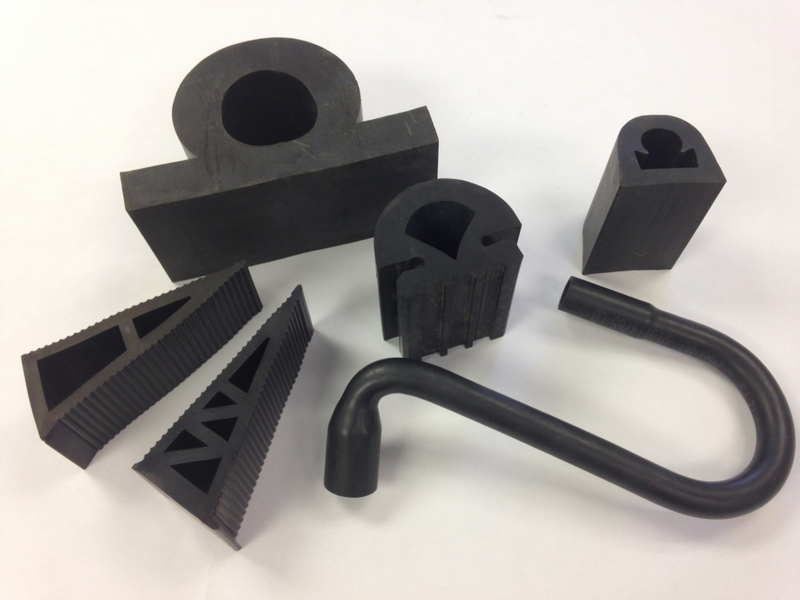 Extruded Rubber Extruded rubber is the product of the process of heating, pressurizing and forcing raw rubber materials through a die. Once the rubber has passed through the die, which is a chamber that molds the rubber into a specified shape, it is cooled and sometimes treated.